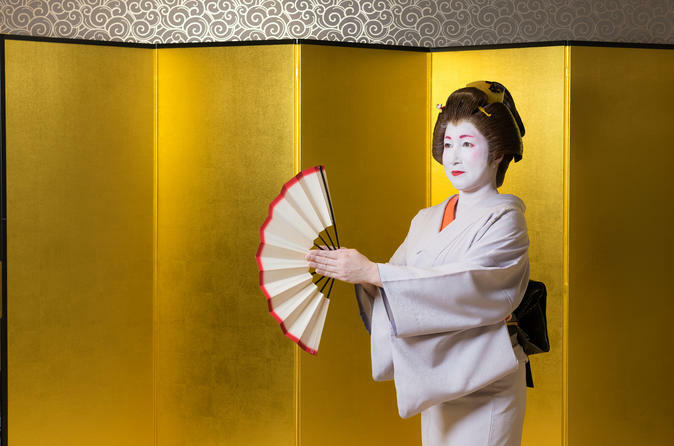 This cultural tour is a 1.5 hour geisha experience at a modern ochaya, or contemporary tea house, where geisha entertain guests with song, dance, games and conversation. Guests may learn about the geisha culture and history while seeing how the locals interact and support geisha. This is a shared tour with included food (if option is selected). Please note regarding English information and translation: Some events may have English-speaking geisha or translator present. If there are no English-speaking translators at the event, English pamphlets and brochures detailing more information regarding the geisha performances, etiquette for the event, history of geisha, and what to expect will be provided to the guests. You'll start the tour as you arrive at the ochaya, where you will be greeted by geisha that are representing a number of okiya (geisha houses) in Tokyo. An ochaya, while literally meaning “tea house,” is not actually a place to go for drinking tea. An ochaya, traditionally, was a place for customer to be entertained by geisha, with history dating as far back as the Edo Period of the Tokugawa Shogunate. Ochaya are typically very exclusive, invitation-only establishments in a hanamachi (geisha district). As you are seated, you will be provided with information that will introduce you to the culture and history of geisha (a tradition and practice of Japanese female entertainers that have been around for centuries). Throughout the 90-minute event (1.5 hour), the geisha will perform traditional dances and songs, and will converse and play traditional Japanese games with guests. On some occasions, there may be English-speaking geisha or translators who may converse with English-speaking guests. Some events may not have an English-speaking translator, in which case details of the performances and what to expect will be provided in written English form. The entertainment provided by geisha are through the form of song, dance, games, conversation, and sometimes even poetry whilst making sure everyone’s glasses are filled. Aside from the highlight, which is the geisha’s performance of a seasonal dance, the geisha performances might also include some of many Japanese fine arts, including playing traditional musical instruments such as the koto (Japanese harp) and shamisen (a three-stringed musical instrument). Guests may mingle with others at the ochaya, including locals who often frequent the ochaya to support the geisha in their community. At the end of the event, guests may gather and take photos with geisha before leaving.